The Rebel Sweetheart. 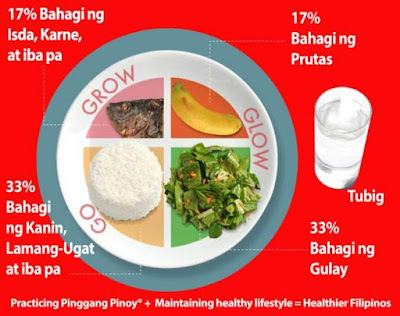 : Eat Well, Live Well with Pinggang Pinoy® + Free Recipes! 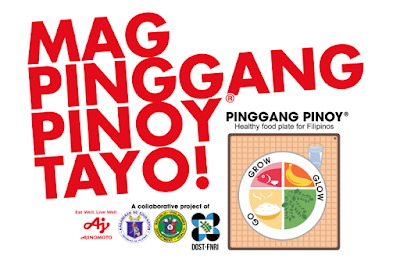 Eat Well, Live Well with Pinggang Pinoy® + Free Recipes! As a kid, I used to eat lots of high-carb food, especially for breakfast. My grandmother, who took care of us when we were kids, was also a working as a public school teacher back then and had little time to prepare a 'balanced breakfast' for my siblings and I. Rice and noodles, pan de sal with cheese, white bread with margarine - these were our typical morning meals before we all make a mad dash for school. So it's not surprising that my sibs and I were on the heavy side for the most part of our childhood and teenage life. Not wanting to make this same mistake with my son, I adopted the Pinggang Pinoy® concept in preparing meals for my family. 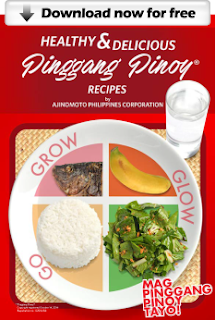 You too, can break free from these #MalnutritionTraps with the help of these Healthy & Delicious Pinggang Pinoy® Recipes, carefully selected and prepared by Ajinomoto’s Culinary Nutrition Team. Busy and budget-restricted homemakers will also find these Pinggang Pinoy® recipes useful because all are easy-to-do and affordable (P250/day for family of 5). You can download the recipes here. For updates about Mag-Pinggang Pinoy® Tayo!, visit www.ajinomoto.com.ph and www.facebook.com/CookmunitybyAjinomotoPH. it. Therefore that's why this paragraph is great. Thanks! I need to check out the Pinggang Pinoy® food guide to make sure I'm eating proper perportions. I always worry about the grankids getting what they need nurtitionally as well because they don't like many vegetable. i think this is a common problem across many countries, too much sugar and meat, not enough veggies. How interesting! I have never heard of this before and that's really neat! I always want to serve Healthy & Delicious lunch and dinner to my family, but because of the same menu they don't like tha but i think Pinggang Pinoy Recipes will help me out. This is awesome and it comes with free recipes. Thank you so much for sharing. SO many people emphasizing eating protein, but you can over do it, that's for sure! 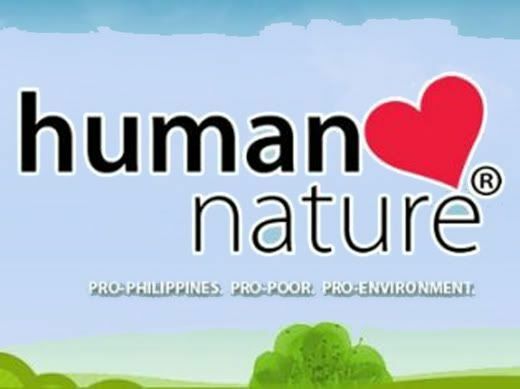 this will really aid in solving the Philippines’ Double Burden of Malnutrition! This definitely a great project. I remember when. I was a kid we eat lot of carbohydrates and it was not helping but I changed my diet so changing of diet help curb this. I don’t eat fruit due to being on a special diet, but I do eat a lot of veggies. Interesting advice, I think it is important to remember that everybody needs different nutrition for their body depending on their situation. I'm sure after reading this that I'm not doing things correctly. Thanks for the info. I love this so much! Every single recipe sounds amazing, I’ll definitely be adding this to my list of things to try! Sounds like an amazing recipes to try. I love finding a new recipe to try. I’m always so scared I am going to mess it up somehow. Oh wow! Sounds amazing! I love saving new recipes like these! Thanks for sharing! Thanks for providing more information on the Pinggang Pinoy campaign and the ways to stay healthy. This is great! It's so hard to get all of the major food groups and healthy balanced diet throughout the day!